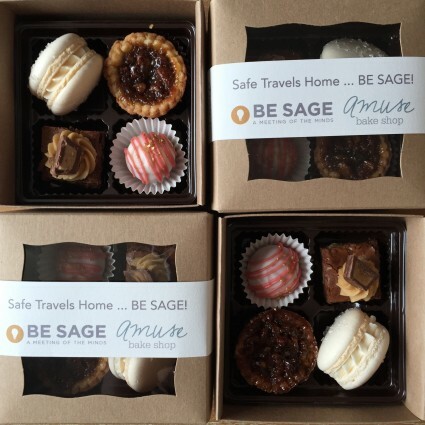 Amuse Bake Shop is a custom bakery making delicious treats for the Dallas / Fort Worth metroplex. I would love to be a part of your wedding, bridal shower, baby shower, birthday party, or other event! Check out what I’ve been up to lately by following me Instagram & Facebook! . 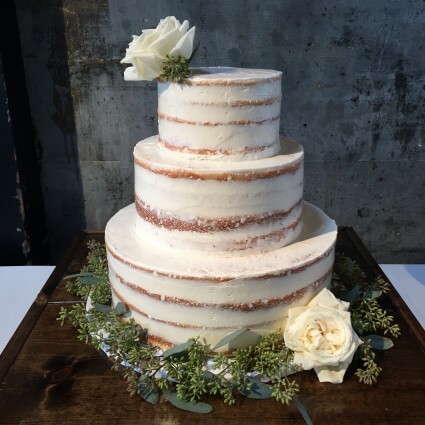 Simple, beautiful, modern wedding cakes. Delicious flavors like Champagne, Brown Sugar Spice, and Red Velvet covered in silky smooth buttercream. 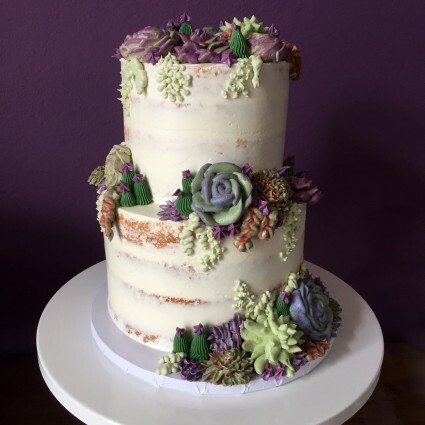 Dressed up with fresh floral, hand painting, textures, or gold sprinkles, let me create the cake of your dreams! 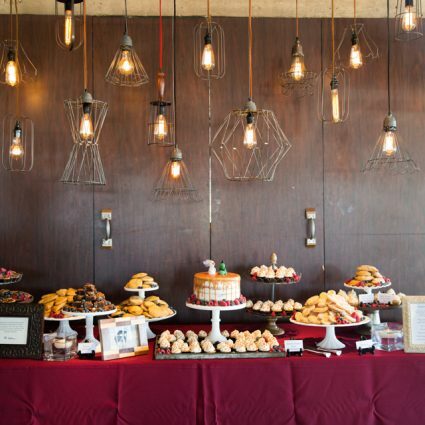 A dessert bar is a fantastic addition to your event! 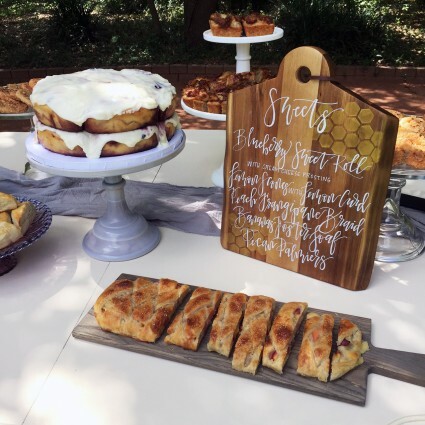 Filled with your favorite desserts like brownies, cookies, mini pies, cupcakes, cake balls, macarons, or even breakfast goodies like cinnamon rolls, your guests will enjoy having something different! Add some to go bags or boxes for an easy favor too! 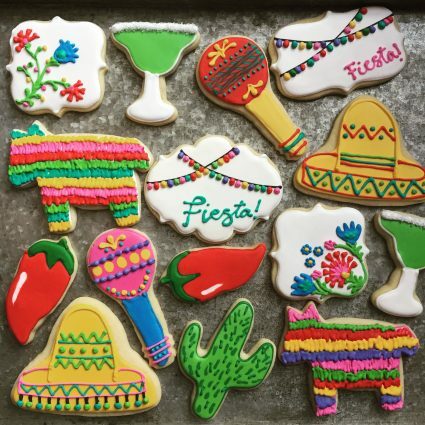 Decorated cookies are the perfect treat to go along with any theme for your wedding, baby shower, bridal shower, birthday party, or corporate event. Anything from unicorns to monograms and everything in between can be customized to create a cookie that will wow your guests. Great for favors too! Let's celebrate with a fun cake! For any occasion - birthdays, graduation, retirement, holidays, or just because! Nothing says time to party like cake! Send your guests off with a little something special! A decorated cookie, mini box of pies or macarons, or a bag of brownies is the perfect way to end your event and to let your guests know you appreciate them joining you! Lots of packaging options available! Breakfast is the most important meal of the day! Start your day off right with delicious sweet rolls, muffins, scones, biscuits, and danish. Also perfect for brunch, breakfast for dinner, or an afternoon snack! A custom bakery serving the Dallas and Fort Worth area. Located in Walsh (West Fort Worth.) By appointment only.